Armed with nothing but a device that can connect to the internet, the modern businessman can accomplish many things. He can communicate with someone in another continent. He can tick off tasks from a to-do list. He can manage his business without ever setting foot in his office. All thanks to the world wide web or the cloud. Now compare this to how businesses were mostly done in the good old days. Imagine companies with shelves upon shelves of boxes of files. Imagine envelopes of correspondence, receipts, and other paperwork that fly out on a constant rotation from multi-tiered in-trays. Imagine bringing a briefcase bulging with folders at the end of each day just so an employee can work from home. Are you interested to learn cloud computing? Then Intellipaat AWS Training is for you. Sounds like a headache and a half. Thankfully, this is a headache that the modern man can choose not to deal with. These days, many aspects of business can be conducted without the need for boxes of files and folders of paperwork. We no longer have to be in the mercy of the post office for sharing documents with clients or business partners. 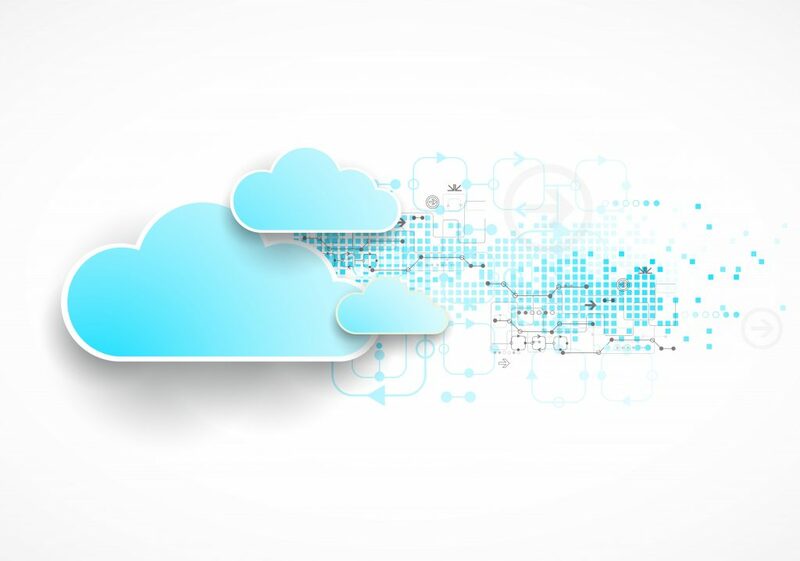 These days, a business can be conducted successfully using the cloud. (No, we are not talking about these clouds. They look capable enough to affect your day but not powerful enough to help you manage your business). At this point, everyone who uses some form of technological device for business probably already knows what cloud we’re talking about. But for the uninitiated, let’s get some definitions out of the way first. Adam Clark Estes, Gizmondo: Cloud computing basically refers to a process of sharing resources to optimize performance. Practically speaking, that means using a network of computers to store and process information, rather than a single machine. The cloud is another term for the internet, to put it simply. When we are talking about cloud computing, we are referring to using the internet to access software or data. These software and data are “in the cloud,” not in the hard drive of your computer. But where is it, exactly? While the cloud may not be in your computer hard drive, there actually are locations where the data and software in the cloud are stored. They are not in the skies; the skies are for clouds of the non-tech variety. There are several companies whose business involve hosting cloud servers. These companies provide cloud services for businesses that need them. Amazon Web Services, one of the leading cloud companies today, has data centers all over the world. As of this writing, they have 51 availability zones in several continents. Each zone comes with separate facilities with data centers. So, in short, the cloud is the internet that lets you access data and software but said data and software are not installed in your device. They are hosted elsewhere, by hosting companies, in a number of secure locations. Which leads us to this question: If the cloud has a physical location, what makes it different and better than using your own hard drive to conduct business? Let’s take a look at reasons why businesses are moving to the cloud. Consider the IT needs of your business when it comes to managing data. If you are concerned about security and performance, you will spare no expense to get first-rate equipments. You also apply the same exacting method when looking for manpower. To protect your company data, you expect nothing less than the best infrastructure manned by the best people. If you’re doing business traditionally, it means shelling out a huge amount of money for these things. But if you move to the cloud, these are business expenses that you no longer have to worry about. Salesforce: Cloud computing cuts out the high cost of hardware. You simply pay as you go and enjoy a subscription-based model that’s kind to your cash flow. Some cloud hosting services are free. Others charge fees but what you spend will depend on your needs. Which leads us to the second reason why businesses move to the cloud. Still related to the cost issue, scalability is another reason to move your business to the cloud. The old way of doing business involving internet services was straightforward. Basically, you bought a set amount of storage or a program in its current state all at once. The problem with this is that there really is no telling how much data you will be storing in the long run. There is also no telling what software needs you’ll have in the near future. Thankfully, the cloud gets this conundrum out of the way. As your business grows, so do your needs. When you manage data, store files, and access software for business in the cloud, scalability is in your side. Hostsearch: Scalability meant that if your website, online service or online business applications weren’t used, theoretically anyway, you wouldn’t be charged. How did teams of yore collaborate? We can’t speak in generalities but we can assume that these collaborations involved printed documents, hours in the conference room, and even longer hours in the telephone. But in the cloud, getting work done with a team is much smoother. Because you can store data and exchange messages in the cloud, it has become an integral part of business collaboration of the modern age. Forget about printing pages upon pages of files needed for project. Forget about never-ending meetings centered around your office’s long suffering whiteboard. Your team can collaborate more efficiently in the cloud. In fact, collaboration is now made easier with the help of the latest cloud-based tools. One example is Dead Drop. Hosted on Amazon Web Services, Dead Drop is a suitable platform for business to business collaboration and communication. Another advantage that the cloud can offer your business is flexibility. One great example is for times when you or some of your employees need to work from home. How does this go, traditionally? First of all, you’d need to bring home files from the office. You might also need to be glued to your phone in case you need to speak to someone about what you’re working on. It doesn’t sound so inconvenient if you don’t know any other way of working. With cloud computing, however, you can work from anywhere in the world without having to carry around a thick folder of files. Since everything you need is online, you can get work done even if you’re in a tropical rainforest. Provided that you get decent internet connection, of course. Cameron Coles, Skyhigh Networks: Data and applications are available to employees no matter where they are in the world. Workers can take their work anywhere via smart phones and tablets—roaming through a retail store to check customers out, visiting customers in their homes or offices, working in the field or at a plant, etc. Additionally, having your resources in the cloud gives you business agility and an obvious lead against your competitors. It’s not outside the realm of possibility for the cloud to be breached. However, you have to admit that it’s much more secure to have your data in the cloud than in a server in your own place of business. Cloud hosting companies have fortress-like facilities. Access is strictly controlled to these places. They are non-descript, too, making them hard to pinpoint as a place where one can steal precious data. 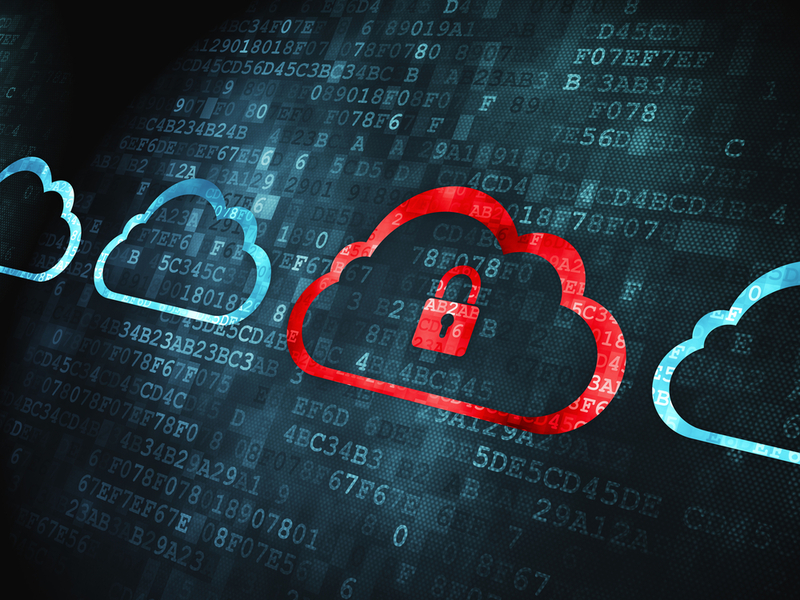 You are better off trusting the cloud with your data than having physical equipment in your office that thieves can easily identify as extremely valuable. You can hire security, sure, but that’s another item added to expenses. Of course, just like any move in business, moving to the cloud has its share of risks, too. The most serious of these include data breaches. However, if you play your cards right and take data security seriously, moving your business to the cloud would prove to be one profitable experience. To summarize, doing so is cost-effective and is generally good for your business. Using the cloud, you save money and be able to move your products or services better. 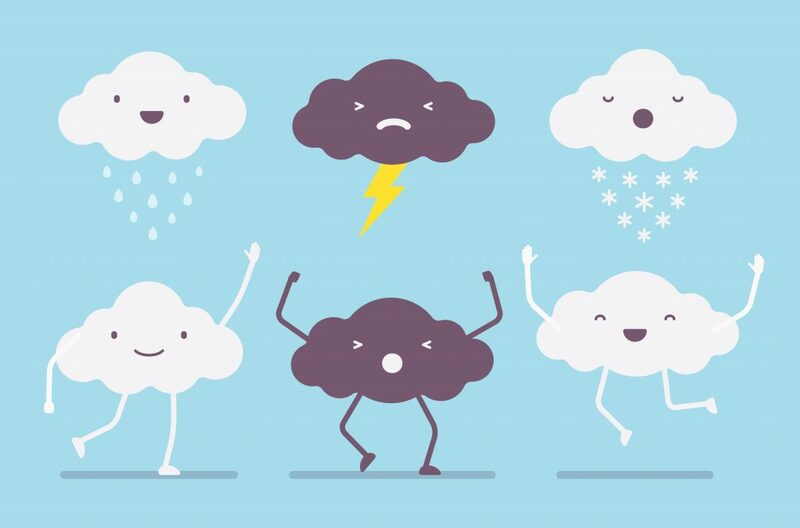 Additionally, cloud computing offers business regular software updates, better response when it comes to disasters, and peace of mind knowing that they have friendlier impact on the environment. It’s 2018. It’s time to join the rest of the modern world and move your business to the cloud. Don Harold is the Marketing Head of Dead Drop software, a cloud-based collaboration tool. He is a huge proponent of secure cloud computing, both for enterprises and individuals.